I had the pleasure to see Bob perform this song twice in Germany during his electric set (Halle 1994 and Aschaffenburg 1995). Halle was a strong version, but Aschaffenburg was even stronger and remains my favorite version of this great song. In September 2000 I saw the first ten shows of Bob's fine European fall tour. But it was not until he hit the mainland that he replaced "FOREVER YOUNG" with a very fine acoustic version of "I SHALL BE RELEASED". 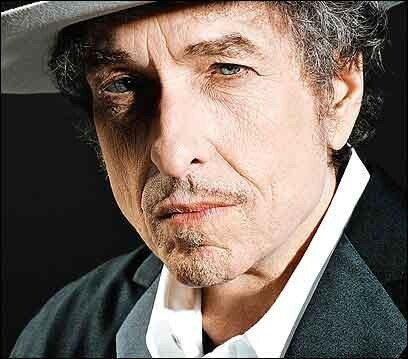 Dylan also performed this fine version during all his subsequent tours in 2000, 2001 and 2002. Ten times so far this song has appeared on the same setlist as "TRYIN' TO GET TO HEAVEN". Interesting combination. I believe, in the light of some of the other songs Bob sings these days, this song truly emphazises his longing to "be released" from the chains of this life in a world full of sin. His Savior promised him a much brighter future in the Highlands, where he will be when he gets called home. God will lead him beyond the burning sand, before they close the door. The second show on Bob's second 2001 US tour in August in Sedalia did feature for the first time "I SHALL BE RELEASED" in the same setlist as "THIS WORLD CAN'T STAND LONG", a combination which Bob repeated in November 2001 in Nashville. The first appearance of "I SHALL BE RELEASED" in 2002 was in Jacksonville, where Bob opened his show with "HALLELUJAH I'M READY TO GO"; the next two were in Charleston and Greenville, again in the same setlist as "THIS WORLD CAN'T STAND LONG"; the fourth one was in New Orleans, where Bob started with "I AM THE MAN THOMAS". In April 2002 "I SHALL BE RELEASED" appeared twice in the same show as "SOLID ROCK" and "HALLELUJAH I'M READY TO GO", in Copenhagen and in Stuttgart. In Ravenna "I SHALL BE RELEASED" appeared in the same setlist as "FOREVER YOUNG", which had moved up into the first acoustic set. In Nürnberg "I SHALL BE RELEASED" was performed again in a show which had begun with "HALLELUJAH I'M READY TO GO". In May it appeared only once, during the first British show in Brigthon, which had started with "I AM THE MAN THOMAS", and which I had the pleasure to attend, finally seeing Bob performing this fine acoustic version. In August 2002, in Canada, "I SHALL BE RELEASED" was performed in the second acoustic set in Ottawa, in the same show as the first "SOMEBODY TOUCHED ME" in 2002. Three days later "I SHALL BE RELEASED" appeared in the second acoustic set of the Toronto show, which had started with the second performance of "A VOICE FROM ON HIGH". And in Colorado, 15 days later, "I SHALL BE RELEASED" closed the first acoustic set of a show which also included "NOT DARK YET". In October 2002, in California, "I SHALL BE RELEASED" was performed three times. It also appeared in Colorado in the same show as the second "IN THE SUMMERTIME" of the tour. In 2003 "I SHALL BE RELEASED" was not performed at all. During the last of three shows in Washington D.C., in April 2004, "I SHALL BE RELEASED" reappeared after more than 17 months, in a show, which had started with the first "GOD KNOWS" since 2001, and which also included gems like "FOREVER YOUNG", "I BELIEVE IN YOU" and "TRYIN' TO GET TO HEAVEN". Two months later, during the third show in June, in Atlantic City, "I SHALL BE RELEASED" was performed again in a show, which had started with "GOD KNOWS", and which also included "FOREVER YOUNG" and "TRYIN' TO GET TO HEAVEN". In July 2004, in Córdoba, "I SHALL BE RELEASED" was performed again in the same set as "GOD KNOWS" and "FOREVER YOUNG"
In August 2004, in Richmond, Virginia "I SHALL BE RELEASED" appeared once more in the same show as "GOD KNOWS" and "TRYIN' TO GET TO HEAVEN". Two days after Richmond, during the next show, in Charleston, South Carolina, Bob Dylan performed "I SHALL BE RELEASED" together with Willie Nelson. Four days later, in Lexington, Kentucky, Bob Dylan sang "I SHALL BE RELEASED" with Willie Nelson and his two sons, during a set which also included "I BELIEVE IN YOU". On the next day, in South Bend, Indiana, Bob Dylan performed "I SHALL BE RELEASED" again with Willie Nelson and his sons, once more during a set which also featured "GOD KNOWS" and "TRYIN' TO GET TO HEAVEN". Two days later, in Comstock Park, Michigan, "I SHALL BE RELEASED" was again performed together with Willie Nelson and his sons, and also on the day after that in Peoria, Illinois, where Bob also performed "FOREVER YOUNG" and opened with "CAT'S IN THE WELL". During the fall tour of 2004 "I SHALL BE RELEASED" appeared in November in Binghamptom, in the same show as "GOD KNOWS", "PO' BOY" and "NOT DARK YET". During the first Sunday show of 2005, in Chicago, Bob Dylan chose to sing his first "I SHALL BE RELEASED" of the year, in the same set as "SEÑOR", "GOD KNOWS", "SHOOTING STAR", "TRYIN' TO GET TO HEAVEN", and "A HARD RAIN'S A-GONNA FALL", creating a very strong and thought provocing juxtopostion of some fine songs. Almost four weeks later, in New York City, "I SHALL BE RELEASED" was sharing a setlist with the first performance of "PO' BOY" in 2005, during the last show of Bob Dylan's spring tour, which included 94 different songs. During the May to July stadium tour of 2005, "I SHALL BE RELEASED" appeared only once, during the penultimate show in Schaumburg, Illinois, which was on a Sunday, and included not only the typical Sunday songs for this tour, "GOD KNOWS" and "TRYIN' TO GET TO HEAVEN", but also "SEÑOR". Two more times "I SHALL BE RELEASED" was performed in July; at first closing the "Amazon Show" in Seattle, as a mighty fine duet together with Norah Jones; and then on a Sunday, in Bend, Oregon, together with "GOD KNOWS" and "I BELIEVE IN YOU", as the first encore song of the last show before a two and a half months touring break, which was followed by the European tour of 2005 (during which "I SHALL BE RELEASED" was not performed at all, nor was it performed during the spring tour of 2006 or during the European summer tour of 2006). However almost thirteen months after the last apperance in 2005, a few days before the US release of 'Modern Times', "I SHALL BE RELEASED" reappeared again, during the US summer tour, in Pittsfield, Massachusetts. During the fall tour of 2006 "I SHALL BE RELEASED" was performed in San Francisco. The first appearance of "I SHALL BE RELEASED" in 2007 was during the North American summer tour, in Indianapolis. Next "I SHALL BE RELEASED" was performed four times during the USA fall tour of 2007, three times in September; and one month later, toward the end of the last show of the year, in Chicago, "I SHALL BE RELEASED" appeared once more, with the help of Bob's supporting acts, Amos Lee and Elvis Costello. The latest performance of "I SHALL BE RELEASED" was back in June 2008, in Warsaw, Poland, during Dylan's fine European tour of that year. Sadly this beautiful song has not appeared on stage since. The people who walked in darkness have seen a great light; those who dwelt in a land of deep darkness, on them has light shined. For to us a child is born, to us a son is given; and the government shall be upon his shoulder, and his name shall be called Wonderful Counselor, Mighty God, Everlasting Father, Prince of Peace. He who is bowed down shall speedily be released; he shall not die and go down to the pit, neither shall his bread be lacking. I am the Lord your God. If anyone says to you, 'Look, here is the Christ!' or 'There he is!' do not believe it. For false christs and false prophets will arise and perform great signs and wonders, so as to lead astray, if possible, even the elect. See, I have told you beforehand. So, if they say to you, 'Look, he is in the wilderness,' do not go out. If they say, 'Look, he is in the inner rooms,' do not believe it. For as the lightning comes from the east and shines as far as the west, so will be the coming of the Son of Man.